From misty mornings to evening downpours, this fully seam sealed, colorblock jacket will help keep you dry and protected from whatever Mother Nature throws at you. 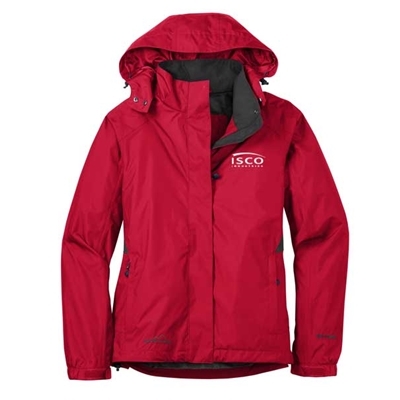 5000MM fabric waterproof rating, 5000G/M2 fabric breathability rating, detachable hood with drawcord and toggles for adjustability, storm flap with hook and loop closures, front zippered pockets, adjustable tab cuffs with hook and loop closures and an open hem with drawcord and toggles. Contrast Eddie Bauer logo on hem. WeatherEdge® logo on left sleeve. 100% polyester dobby shell, mesh body lining, 100% nylon accents.